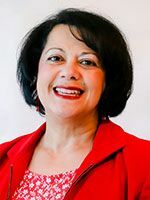 Home / Latest News / The Times recommends: Lillian Ortiz-Self for 21st Legislative District, House Position No. 2. Ortiz-Self understands that education is a system that starts well before K-12. She supports a greater investment in early learning, as well as supporting families so they can better help their children. 21st Legislative District, House Position No. 2. She also understands that education is a system that starts well before K-12. Supports a greater investment in early learning, as well as supporting families so they can better care for their children. She faces her 2014 opponent again, Republican Jeff Scherrer, whose limited knowledge of the challenges facing the Legislature stands in stark contrast. Challenger Mohammed Riaz Khan is a Boeing engineer and president of a group planning to build the Islamic Center of Mukilteo. Khan, an independent, is organizing a number of interfaith conversations in Snohomish County. He is frustrated with the lack of progress on education and transportation but offers few specific ideas. The fourth candidate is Bruce Guthrie, a Libertarian. By Friday, he still had not filed required paperwork with the Public Disclosure Commission. INCUMBENT state Rep. Lillian Ortiz-Self is the clear choice in the race for the 21st Legislative District race for House Position No. 2. The Mukilteo Democrat, a school counselor and vice chair of the House Education Committee, is committed to helping solve the state’s chronic and unconstitutional underfunding of basic education. She is well-versed in the challenges and possible solutions. And though she is a member of the Washington Education Association, which opposes statewide bargaining for teacher contracts, she says she is open to the concept as part of a larger solution for the state, unburdening local school districts from helping pay for basic education. That show of independence is a shift from her statements two years ago. Weighing particularly on her mind are issues of equity for students across income levels in communities throughout the state. Her experience as a counselor gives her the perspective of how the teacher shortage and the lack of other services can hurt at-risk kids.